It’s a been a trifle chilly here the last couple of days. We even have to turn the heat back on at night, but the promise of warm days to come is everywhere nonetheless. 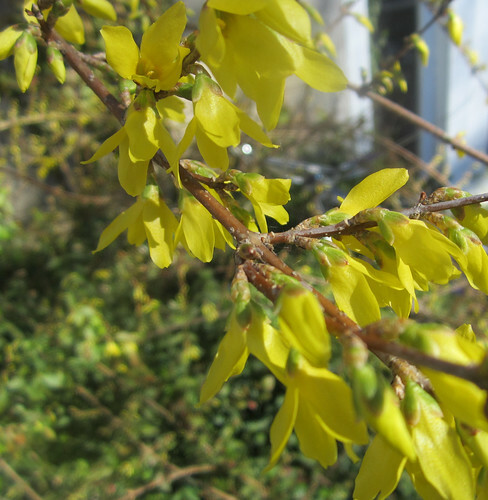 Take for example the forsythia I showed you last week. 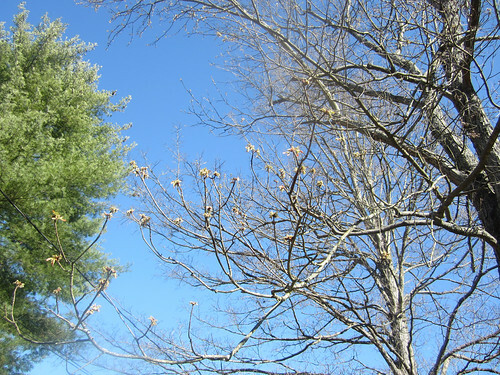 They are starting to bloom and will be in full flower within the week. 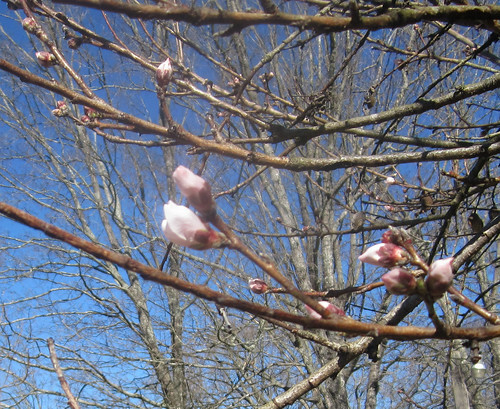 I also noticed, when sitting out in the yard yesterday listening to an audiobook and knitting a swatch, (more on that in a moment) that one of the peach trees has the blossoms opening. 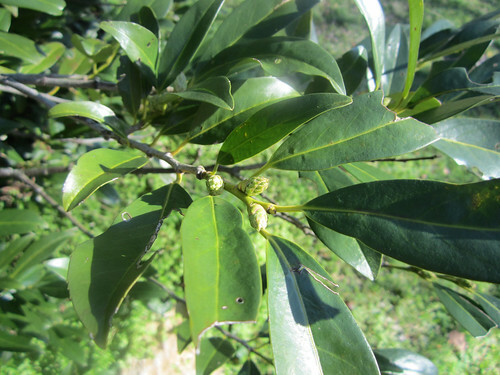 and the mountain laurel is budding. But, to a knitter, the most waited for sign of the season is the Spring issue of Knitty. Have you seen it yet? I was inspired by many of the offerings this time, but the one that spoke the loudest to me was Gemini. Immediately I began looking through my virtual stash and didn’t come up with anything that fit the bill that I had in enough yardage to make it. Unbelievable as that is, I was forced..forced I tell you…to make a trip to the yarn shop. 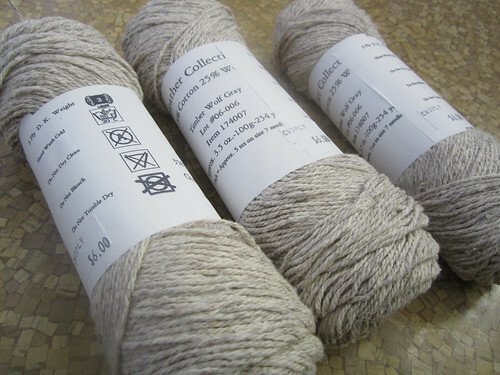 I looked over what they had in cotton and linen blends and none of them seemed quite right to me, so I decided on this Cestari dk weight cotton and wool blend. Now I mentioned swatching above and it’s something you won’t see very often, but it is called for at times. If I am working with an unfamiliar yarn and the gauge is critical like it is with a sweater, I will do it. Mind that doesn’t really mean the nasty little buggers don’t lie to me, which they do, but for some reason I do it anyway. So, I need to get 22 stitches in 4” and a size 6 needle is usually right for me, in wool yarn anyway. I started first with that size and as you can see in the swatch I made a purl ridge to show where I went down to a 5 and tried that as well since to my eye the stitches on the 6 looked more like 5 stitches to the inch rather than 5.5. After dutifully knitting a 5 inch square I measured the gauge both unblocked and after a soaking and blocking and I was right. I was getting 5 stitches to the inch. Oddly the gauge was not noticeably smaller with the size 5 needles either though. Cottons do this to me. If this was wool only I would have gotten gauge on this size yarn. Now the dilemma is whether to knit at the 5 stitches per inch and go down a size in the directions to get about the desired size, or try another yarn. I do prefer the dk gauge of 5.5 stitches to the inch. I was eyeing the Cascade Pima cotton and the Tahki Cotton Classic as alternatives, so maybe I should just do that? 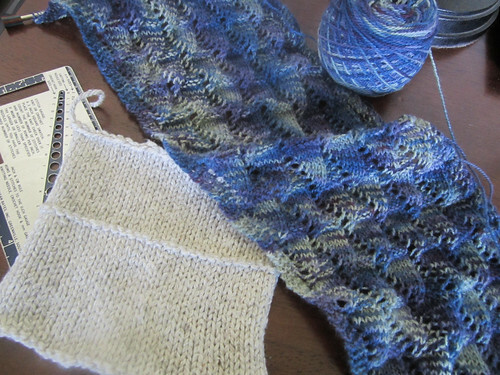 I have a little time to decide since I am going to hold off casting on for the sweater until my Gust is done. 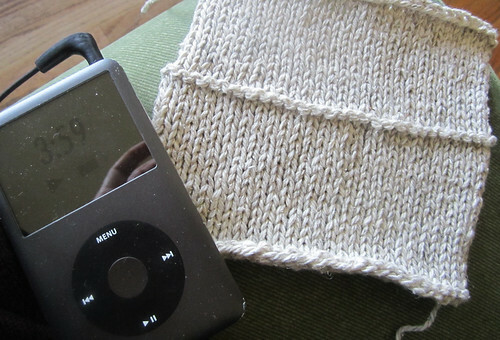 I only have 10 repeats to go on that, which shouldn’t take much longer.